What role does a globe play in interior design? It certainly sets atmosphere of adventure and new discoveries. 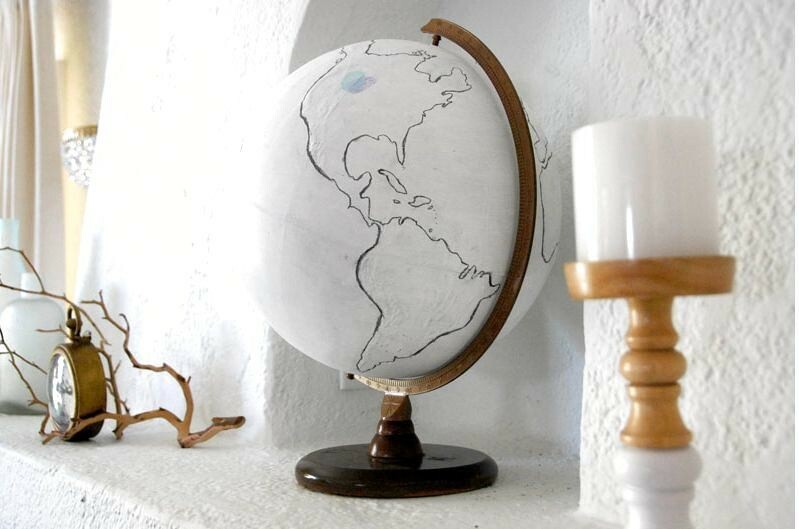 And a vintage globe also brings a note of stylishness and makes a room image more interesting. Especially if you paint it white and mark your personal dream travel destinations. How? Find this out from our DIY! For a start you should remove the spherical part of the globe from its base. 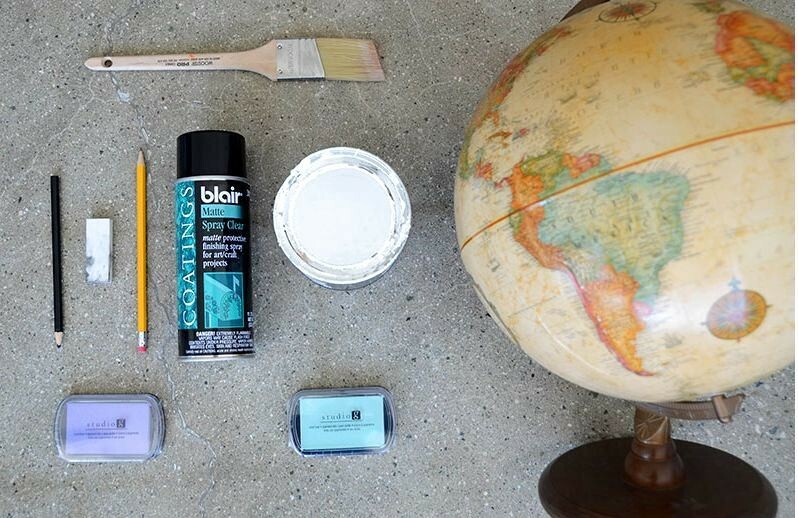 If it’s impossible, protect the base and frame of the globe with a painter’s tape. 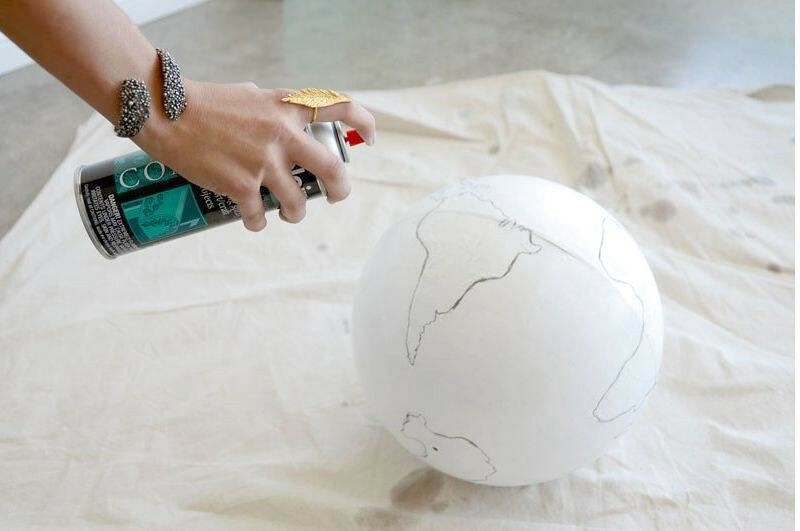 Now coat the globe with white paint moving the brush along the equator. Once the globe has dried out, edge the outlines of continents with a pencil. Remember your geography lessons and contoured maps? To enhance the vintage effect, edge all the outlines additionally with a charcoal pencil. Then mildly shade the lines moving the eraser along the lines (not across). 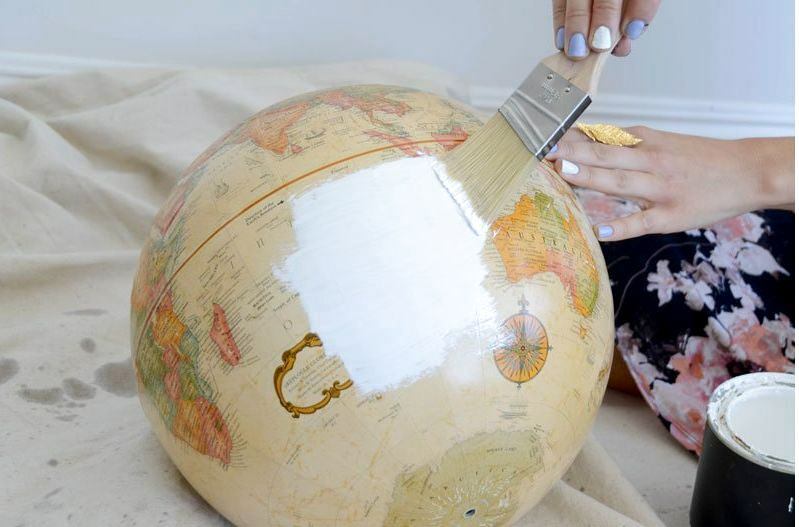 Thereby your globe will get a more sophisticated vintage look. To protect the lines from smearing apply spray sealant on the entire surface and let it dry out completely. 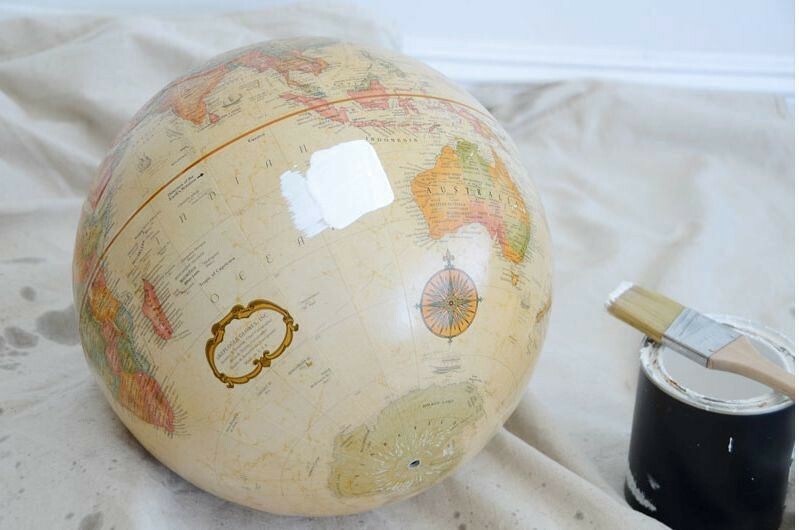 Then install the globe back to the base (or remove the painter’s tape if you used it). 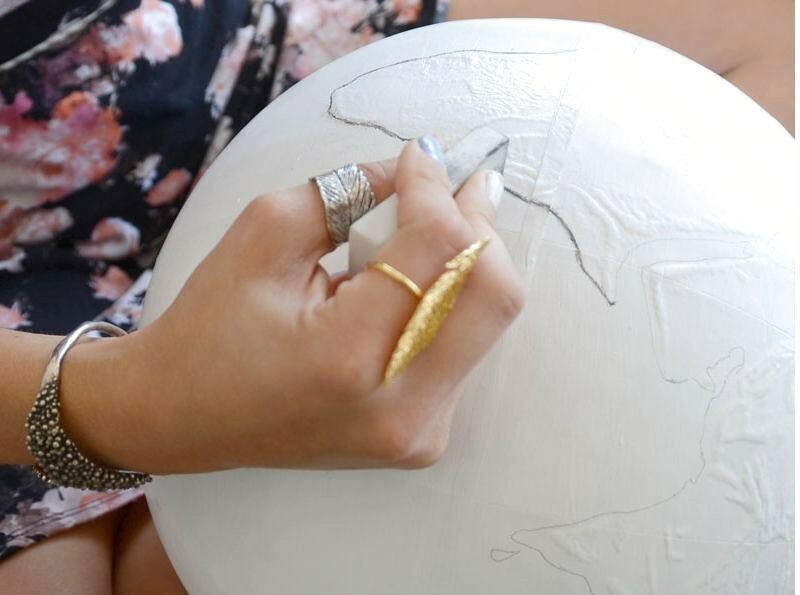 It’s almost done, but there is just a small finishing touch left to make your piece of décor customized – your personal mark of a dream travel destination. Just dip your finger into an ink pad of your favorite color and leave your tag. So, you got a stylish globe that would easily fit into a light interior. Coupled with a vintage suitcase, wooden figurines and retro motives, it will surely bring a note of adventure to your interior.